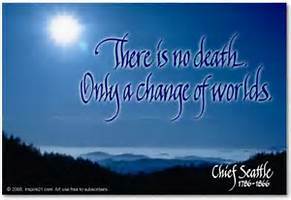 In the course of many years, I have gathered a collection of words of wisdom from White Eagle on the mystery of life and death. I am sharing them with you here in the hope that they may bring you a measure of comfort when you come to terms with and make peace with the departure of your loved ones from the material plane of life. 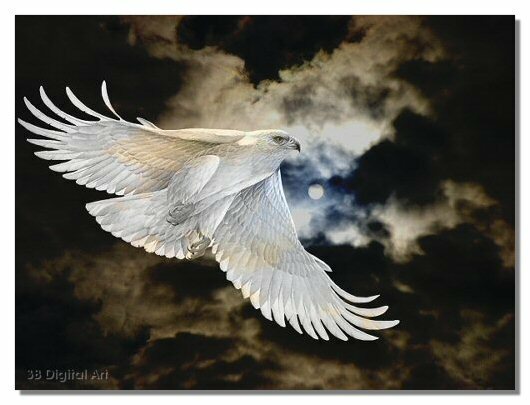 The following is the essence of the Monday Thought 23.05.2016 from the White Eagle group of spirit guides: ‘A woman once came to us and said: ‘It’s all very well what you are saying about our loved ones in the world of light, but I do not want to perceive my dear departed husband in some kind of spirit robes. I shall only be happy when I can see him once more in his tweeds wielding a golf club.’ We, your guides from the spirit world, understand her point of view. Do not think of us as unsympathetic, but if you lift your eyes above earthly things like tweeds and golf clubs, you will be able see all your loved ones in the shining robes they are wearing now. ‘What you will be seeing is their spirit and that is the part of them you have always loved, even though at times their behaviour towards you left much to be desired. The spirit is everybody’s eternal and lovable part, not merely of your nearest and dearest. It’s the aspect of human nature that unfortunately all too frequently remains hidden behind the façade of the small earthly self’s character traces. During the early stages of everyone’s earthly education this part has to remain invisible. None of you was ever born an Angel. In all human beings the higher angelic or rather Christ nature can only begin to grow and evolve with the passing of time. This chapter contains the essence of two teachings from the White Eagle group of spirit guides. The first one appeared in ‘The Way of the Sun’: ‘Far too many of you to this day believe that death is the greatest enemy of your journey through earthly life. * You are afraid of it unaware of the fact that death is the Angel sent by the Great Father/Mother of all life to draw the bolts of your false beliefs and prejudices about what happens to you after the death of your physical body. For as long as you believe them to be true they keep you trying to cling as much as possible to your present existence. 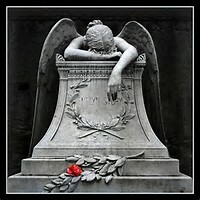 ‘Those who are unafraid of death may still fear loneliness in earthly life, although there is no need for this either. None of you is ever truly on their own. We are constantly accompanying you and those you have loved in earthly life also remain very close to you. They are one with you and part of you and therefore know your thoughts. In their present state their love for you is much greater than it could ever have been when they were with you on the Earth plane. All life is one and because for a long time the mind of the small earthly self cannot comprehend that there are other dimensions of life that bring everything on the Earth plane into being and maintain it, this does not mean they do not exist. They are eternal and will never go away, unlike the fleeting temporary realities of your earthly existence. ‘People think too much about time. * They believe that they have only so much of it for carrying out certain tasks and accomplishing the things they would like to do. This is altogether a wrong way of perceiving your present existence. All Eternity is yours and if you are reading what we are saying here and you understand it, for you the time has come to start viewing your life from the perspective of your spirit and eternal life. Through this your consciousness expands and you develop the Divine quality of your being that with the passing of time increases into an ever more glorious light. ‘There is no death, only a stepping onward to a more beautiful life that takes you closer to your Creator and His/Her all-loving Son/Daughter, the Universal Christ Spirit. Get rid of the idea of here and there, Earth and Heaven as separate from each other, because life is one eternal whole and there is no separation between anything. The more you conduct your daily life in keeping with the spiritual laws, the more you will be growing in spirit and tasting – at first only in many small and simple ways – the fruits of Heaven in the shape of an increasing awareness of the lifeforms that are invisible to earthly eyes. ‘No longer will you then regard death as something to dread. Bearing in mind that all Eternity is yours will leave you no time for fearing death. You will be aware that death does not change you in any way and that when you leave behind your physical body, underneath you are wearing another body like a garment, a body of light which you yourself have been building in past lifetimes and the one you are leaving behind. ‘Even if a human lifetime lasts one hundred years and over, it still represents but the blinking of an eyelid in eternal terms. And for each one of you it won’t be long until you know from first hand experience that there really is no death and that your loved ones are alive and well. It was just that they transformed into a more harmonious state of life that offers more opportunities for development and self-expression before you. ‘Life is eternal, continual and timeless, ever growing, evolving and expanding, filled with interesting things and activities. The more you unfold in earthly life and develop spiritually, the more you will be able to take possession of the wonderful life that exists in the spiritual background of earthly life, even while you are still taking part in it. Obeying the Divine law of love enables you to enter into this glorious Universal spirit life. When your whole being is filled with nothing but love for your Creator and His/Her Creation, as well as faith and trust in the great plan of life, you have every reason to courageously look to the future with hope in your heart. ‘The time is not so far away when the veil that for so long has separate your material world from ours will disappear altogether. Our world inter-penetrates yours. The separation between the two exists only in human earthly minds. In your imagination come to our world as often as you can, for when you visualise it you are taking part in it. Through the vibrations you will then be giving forth, you can be of greater use to humankind and also feel a deeper beautiful happiness within. ‘Try it out for yourself and you will soon know that there is nothing to fear when you step over the border into our world of light. And whenever you are in difficulties of any kind, go into the lodge of your own inner temple. Bar the doors from all intrusion of the lower mind and ungoverned emotions. Be still in spirit and the light will soon come to your help. ‘For all human beings there eventually comes the moment when they leave their physical bodies behind and die, as it’s called in earthly life, although in truth the only thing that happens to these bodies is that their indwelling spirit and soul withdraws from it. Leaving the body through the head and their outer garment is discarded like an empty shell. Nobody is ever alone in this process. Each time this happens to someone the Angels are in attendance and assisting. * The angelic hierarchy is part of the Great Mother of all life, who in your world was once known as the Egyptian Goddess Isis. But this was merely one of the many other names that were given as symbols to describe her presence throughout the ages. ‘For as long as you can only see the physical aspect of life, you are bound to think that death is terrible. Even though to you it may often appear as accidental, this is never the case because the group of Angels known as the Lords of Karma are observing everything that happens on the Earth most carefully. Each time the predestined moment of death for one of you is approaching, they make their preparations and give notice to the Angels of Death to get ready. And these Angels are by no means the repellent figures and gruesome spectres people imagined them to be in the past. ‘If you could look through the veil of consciousness that to this day separates your world from ours, you would see countenances of an ethereal beauty that for earthly minds is hard to imagine. 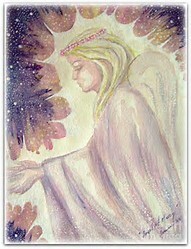 As an expression of the Great Mother’s unconditional and all-embracing love, these Angels are all compassion and kindness. All Angels are messengers of the Divine and at the moment of someone’s death they are the ones who bring about the separation of the spiritual aspect of your being from its physical counterpart. 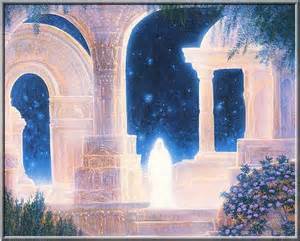 They help your departing spirit and soul to let go of the earthly plane and return you safely to your true home, the world of light. 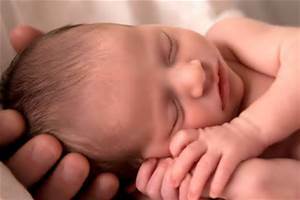 They help you through your rebirth in our world, where loved ones are greeting you and celebrating, just as they would do in earthly life each time a baby has arrived safely. ‘Sometimes you will be wondering how you can best help those whose death is near. In that case the power of thought can be more effective than any spoken or written word could ever hope to be. It is possible to help the ones in the ‘departure lounge’ by sending them optimistic thoughts that affirm that they are eternal beings who will never die. In your mind hold you can hold kind and loving, hopeful and constructive dialogues with them about this. In your imagination take them into the blessing and healing rays of the Christ Star, the power and light of the only born Son/Daughter of the Great Father/Mother of all life. Attune the receiver/transmitter station of your earthly mind to the Star’s healing rays and send them to anyone you feel intuitively will benefit from them. Even at great distances such transmissions are as effective – more so in many cases – than any kind of sophisticated physical ministrations. ‘The illusion of separateness was created to help each one of you to become aware of their individuality and that you are individual beings. This state however exists only in earthly life while on the inner level everything has always been one and forever will be. Love is the greatest power in the whole of Creation. 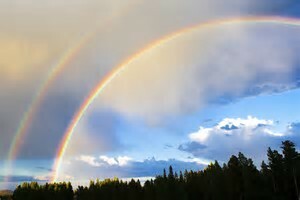 It invokes the Universal law of harmony and reunion and that connects spirits behind the veil with those in earthly life. ‘We know from first hand experience what a hard school Earth life can be. But the more you manage to penetrate the veil that keeps it apart from our world, the better you will be able to enter consciously into the limitlessness of spirit life, and that makes your earthly existence more bearable. 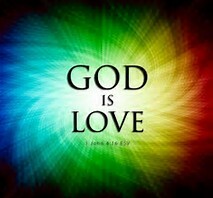 Rest assured that all life is safely held in God’s love. And in keeping with the will and wishes of the Highest, our world provides tirelessly for every need of all aspects of earthly life. This includes making preparations for the important events in every earthling’s life. ‘Let there be no doubt in your mind that the Great White Spirit, Father/Mother of all life, known as God or Allah to many, loves each one of you in just the same way, totally and unconditionally. And no matter what may ever befall you, you will never be forsaken. To paraphrase the Jesus legend: ‘Every hair of your head is numbered and not a sparrow falls from the sky without the Great Father/Mother knowing about it.’ At all times you are closely held in His/Her loving arms and the care of the ministering Angels. ‘Your true needs will always be supplied. Naturally, this covers a wide range of possibilities, for example periods of hunger and thirst, physically and spiritually. To teach them the value of food and drink, they have to be endured by all human beings in one of their lifetimes. And if there is anything else you think you need, all you have to do is go the right place, i.e. within, knock at our inner doors and ask. Be careful though what you request because, to teach you a lesson you still need, your wish could be fulfilled in unexpected ways that may not be agreeable to you at all. * But those who proceed in the right manner can be sure to receive in due course the spiritual and physical blessings of the Heavens in full measure. This is decreed by Divine laws and they never fail. 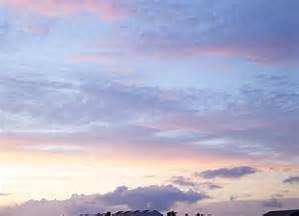 ‘In all your endeavours bear in mind that life is eternal and that it constantly moves forwards and upwards on the evolutionary spiral. This it does in cycles that can be observed in the coming and going of the seasons of the world around you and, because human beings are not exempt from these processes, your own life. There have been other golden ages on the Earth when the Angels moved hand in hand with people in full consciousness. One of these ages comes around at the end of every Great Year. * The whole cycle of one of these years takes approx. every 25,860 Earth years. 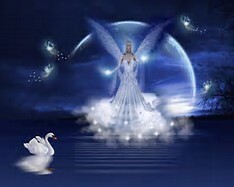 * Don’t miss out on what the Angels are presently offering, otherwise the vibrations that will be required for an appearance during Mother Earth’s next golden age may not be right. ‘It may not come as a surprise to you when we tell you that you have known easier earthly lifetimes than the present one. Naturally, this fulfils a wise higher reason, the same as everything else that happens in your world. And when you go through your world with open eyes, you cannot overlook that everywhere people having an almighty struggle trying to come to terms with their existence. For many this is because they have reached the end of their earthly education and some of their most ancient and heavy unpaid karmic debts were waiting to be redeemed. Until this has been achieved, they cannot be released onto the higher levels of life. ‘The law of life is evolution and each one of you has been granted the gift of another lifetime on the Earth to evolve into a healer and lightbringer in their own right. This means sharing the knowledge you are finding along the pathway of your life with those around you, helping and supporting them and through this bring comfort and healing. Giving of your best and unselfishly serving the needs of the whole, fills earthly lifetimes with opportunities for developing the characteristics of your Christ nature. 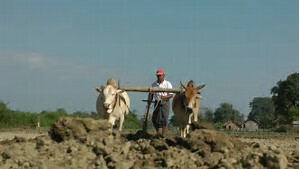 Some of you are working upfront, while others are toiling quietly in the background. Yet, all contributions are equally valid and greatly appreciated by us. Every small effort makes a difference and helps all humankind and your world move forwards and upwards on the evolutionary spiral. ‘In your enjoyment and delight in Mother Earth’s beauty, do not overlook searching for a better understanding of the spiritual background that brings all of it into being and constantly maintains it. As you know, in every soul the spiritual fire of the Divine spark is present, though at first only in seed form. When with the passing of time the spiritual fire within you grows more powerful, you will notice that when you reach out to people with love, there is nobody who does not respond to it in the same way. ‘Wise ones appreciate that shedding too many tears over someone who has departed from the earthly plane of life would most certainly not be a sign that the mourner loved them more than anyone else. It merely shows that, because they fail to understand the purpose and meaning of humankind’s earthly existence, they selfishly and endlessly wallow in self-pity over the hole the departed one left in their life. Wise ones save their energies and spend them on helping such people to find a better understanding, too. ‘So, be a wise one and do all you can to share your knowledge and assist anyone in need of it to understand that physical death, when seen in the right light, is an event for rejoicing instead of weeping. As far as your own life is concerned, no matter what obstacles you are still encountering, never give up hope and do your best until every last shred of your Karmic debts has been redeemed. One of these days this will be the case. Trust that hand in hand with God and the Angels all will be well in the end and everything will work out for the highest good of all, as surely it will. ‘That is the very reason why your days in physicality are limited and each incarnation lasts only for a comparatively short time. Even if you should be around for a hundred years or more, in terms of Eternity, God’s time, it represents the mere batting of an eyelid. This is also why at the end of each lifetime you are allowed to leave your physical body behind like an outworn garment, while you move for rest and recuperation to our world, the true home of your spirit. ‘In your daily life you do not mind moving from one house to another, when the time for a change has come. You may still love your old house, but when you have had enough of it, you leave it and go. In just the same way you reach the point of wanting a new body because you are weary and tired of your present one that has grown old and maybe riddled with pain. Eventually God and the Angels in their kindness allow you to pass on. They remove you from a state of existence you have outgrown into the next one that is ready and waiting for you. The following is the essence of a teaching from the White Eagle group of spirit guides that came to me as the Lodge’s Monday Thought on the 8.2.2016: ‘Whenever you are seeking contact with your loved ones in the world of spirit, very little material evidence of their presence will come your way, if any. Even though there could be nothing for writing down and presenting as proof of your meeting, when you sit in communion with loved ones you may discover that there is a flow of love that passes between your hearts. And this is some feedback I received from a friend in response to the above: ‘After completing a meditation in which I communicated with a beloved friend who committed suicide eighteen months ago, I logged on, and read what you had written and posted three hours ago. I was astonished to find that the words you were using described almost exactly what happened in my meditation. Although it provided me with comfort, it also left me feeling bereft and lonely.’ P.T. But twenty-four hours later he reported that he was feeling a strong presence of her around him. To me, the incident is clear evidence of the following: 1) Our loved ones really are where they are said to be: in the world of light. 2) It’s the guiding and protecting hands of our spirit friends and helpers that connects us with them. 3) Whether someone believes in them or not, both our loved ones and the Angels are there. 4) Last but not least it provides me with proof that the wise ones in charge of us in the world of light are communicating with our world through me. And that confirms the authenticity of the work I am carrying out on their behalf. The original White Eagle teaching must have been very old, because the transmissions of this group of guides through Grace Cooke, the medium they used, stopped many decades ago. They chose me to update the message and through this bring further understanding to us and our world. In all humility I kneel before them and thank them for all the help with which they are providing each one of us individually and our whole world. Regardless of so much evidence of their presence, my friend very much doubts that Angels and Masters, friends and helpers in the world of light really exist. This is because he does not like the idea that humankind should have some kind of Overlords. In my view, that’s what the wise ones on the other side of the veil of consciousness most certainly are not. They are our older siblings in the great family of life, who love us and want to help their younger siblings. The White Eagle teaching was received by e-mail on Monday about lunchtime. I found it so good and valuable that I dealt with it immediately by re-interpreting it. Yet, for some reason, not consciously known to me, I delayed the sharing of it until the next day. If the whole of that incident doesn’t prove the guiding and protecting hands of those in charge of us and our world at work, please tell me what does. There is no doubt in my mind that they were the ones who prompted me to write, my friend to meditate, and me to post my insights only when they saw that the right moment for it had come. By both of us doing these things independent of each other and without having any idea of what the other one was doing, they wanted to provide us with proof of their presence. What more could anyone want? Contrary to what W.E. taught through Grace Cooke, our friends and helpers are neither men nor women, brothers or sisters. In the world of light on the inner level of life we are once more aware of our true nature as spirit and soul. We are whole again, i.e. the masculine and feminine aspects of our being are consciously working together as one, unlike the way we are in earthly life when these two all too often are at loggerheads with each other. The original W.E. version that the spirit guides are our brothers was given because at that time too many would have been unable to grasp the concept of androgyny. Some believe that life stops at the moment of physical death and that it is a one-off thing. Wise ones, however, appreciate that in truth life is eternal, constantly moving forwards and upwards on a never-ending evolutionary spiral and that therefore there is no death. Just think: when you entered into your present earthly lifetime you were crying and everyone around you was smiling. Your turn for happiness comes when you depart from this life and the ones around you, who cannot yet appreciate what is really happening to you, are crying and may have to linger in their spiritual darkness until their time for joining you in the world of light has come. 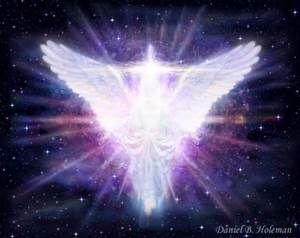 The essence of a teaching from the White Eagle group of spirit guides that appeared in the StarLink Message January 2012: ‘Your loved ones who have left the earthly plane of life have not gone from you. They are by no means dead, but alive and well in the world of light, our realm. That’s where all human spirits are constantly dwelling. It’s just that from time to time a small part of it ventures forth into earthly life where it inhabits a physical body that serves as a vehicle for getting around and experiencing its new environment. This body is equipped with a rational and logical mind that has very limited horizons that separate the earthly part from the spirit aspect of its being. During the early stages of its earthly education this small self can not yet peer beyond the end of its nose. ‘For a long time the lower mind is focused on coming to grips with earthly terms only. In this state of ignorance the spiritual side of life is dismissed out of hand. Everything that cannot be seen, weighed and measured is rejected as humbug and imaginations. Yet, through the learning the earthly self gains from its own experiences it slowly grows in wisdom and understanding. With the passing of time over many lifetimes the vision of its consciousness gradually expands. At a certain point of its development the spirit nature of the small self stirs from its slumbers and it begins to take an interest in the spiritual aspects of life. Eventually, it comes to terms with the meaning of the concept of God as the eternal spirit, who has brought everything that exists anywhere into being. ‘This awakening brings the understanding that the spirit realm is not somewhere ‘out there’ but on the inner level of Earth life and that in this world there is no separation between anything. And that’s where, in your quiet reflections and meditations, you can contact your loved ones through the power of thought. This enables you to see for yourself that what we are saying is true and that life really is eternal. Because each one of you is a spark of God’s great light and having been created by Its eternal spirit, it could not be any other way. ‘God is love and the law of life is love and if you wish to know God, all you have to do is be yourself and conduct your life with love, for that is your true and eternal nature. God is in everything and everyone, including you. If you treat everything that is in your life with the love and respect it deserves, you are paying homage to the Great Father/Mother of all life and His/Her Creation. On the higher and highest levels of life death does not exist and that’s where your loved ones are now. Once your loving thoughts have connected you with each other, there will no longer be any doubt in your mind that you will always be together. ‘That’s when for you the time has come to comprehend that all healing consists of taking into your physical bodies the radiance of the eternal Sun, the Sun behind and above the Sun in the sky above the Earth. Each one of you has been granted the gift of another lifetime so that you may learn how to call upon this light and live by it. When you consciously breathe it in, ever more of God’s light can enter the cells of your physical body and control them. We suggest that you breathe this light in for the healing of every aspect of your own being, mind and body, spirit and soul, and breathe it out as your contribution to the restoration of your whole world.